A pen and paper to note your login reference. When you have registered you will be shown a unique reference number which you will need to remember for whenever you log in to your account or contact us. 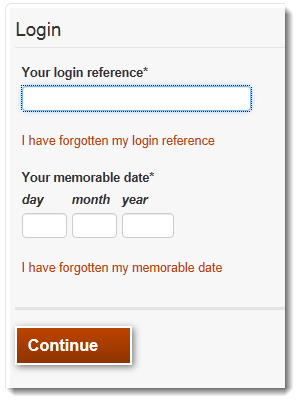 If you are not already logged in you can do so by clicking on the Login button on the top right of the screen and entering your login reference followed by the memorable date (refer to your re-registration letter) and password. When you begin your application you will be asked questions about yourself, your household and your housing circumstances. Some questions are mandatory and must be answered for your to proceed with your application.Please answer these questions accurately. Help text is available within the form if you need it. When you have submitted your form you will receive a system message confirming this. You will also receive a copy of your application form by email. We will contact you by email or telephone if any further information is required. You can log in to your on-line account to view the status of your application and we will inform you of the outcome of your application by email.